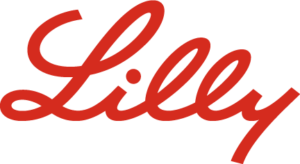 October 29 is the World Psoriasis Day ? 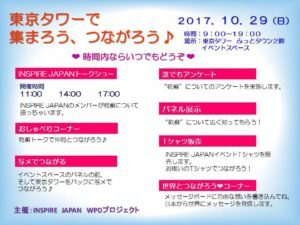 we have organized a first-ever event for WPD2017 in Japan. In 2004, International Federation of Psoriasis Associations set every October 29 as World Psoriasis Day dedicated to people living with psoriasis all over the world. On World Psoriasis Day, a range of activities are organized around the world to raise awareness of psoriasis or to interact with people with psoriasis. 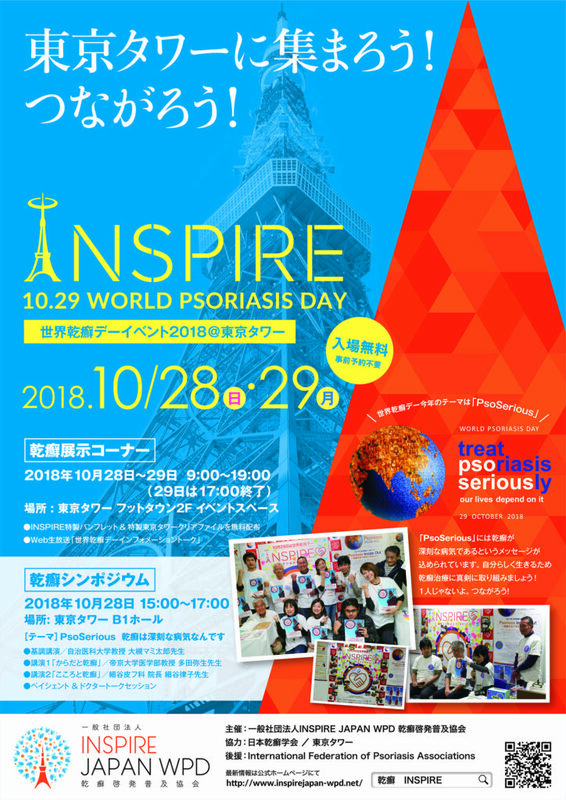 In Japan, however, there have been no particular activities nationwide even though some of psoriasis association members personally celebrated the WPD. Japan Psoriasis Association has become an official member of IFPA for a couple of years, and gradually increased the momentum toward having an activity for public awareness of psoriasis on WPD. Well, we formed a project team, namely INSPIRE JAPAN WPD, with 6 inspired members of several local psoriasis associations led by Masanori Okuse, an IFPA official representative of Japan. 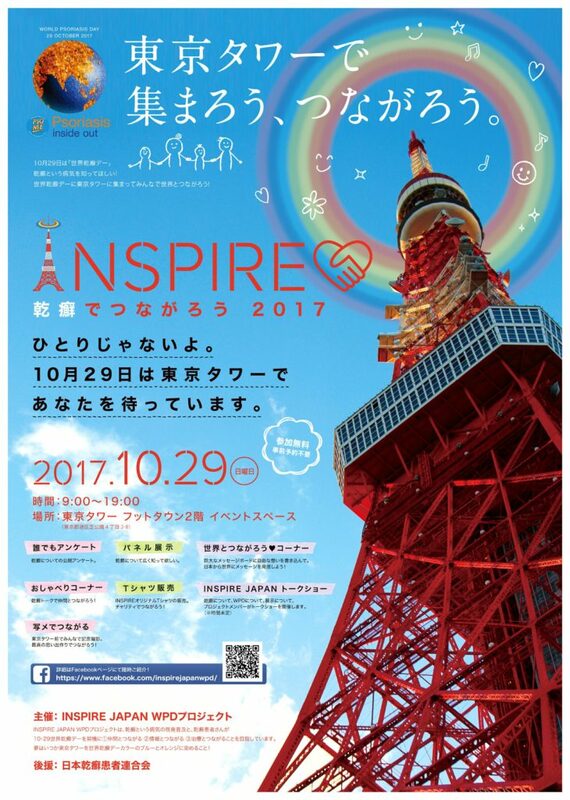 Here, we organize a first-ever event for psoriasis by psoriasis patients on October 29, 2017 at the Tokyo Tower that is one of the most famous landmarks in Japan. This is an event for public awareness of psoriasis. We aim to raise awareness of psoriasis, and to get connected with more than 500,000 psoriasis patients in Japan through the event. We are thinking that we would like to become connected together with many people with psoriasis who are solely fighting against the condition, younger people in particular. We will continue to take actions so that we can raise awareness of psoriasis, and also have people with psoriasis get connected with their friends, reliable information on psoriasis, and appropriate treatments. Copyright 2017 INSPIRE JAPAN WPD, All rights reserved.